Comments: This is a selection that produces an upright form with a dense canopy of foliage. A very versatile tree. It makes a nice lawn specimen and is popular for street tree plantings, parks, parking lots and other public grounds. 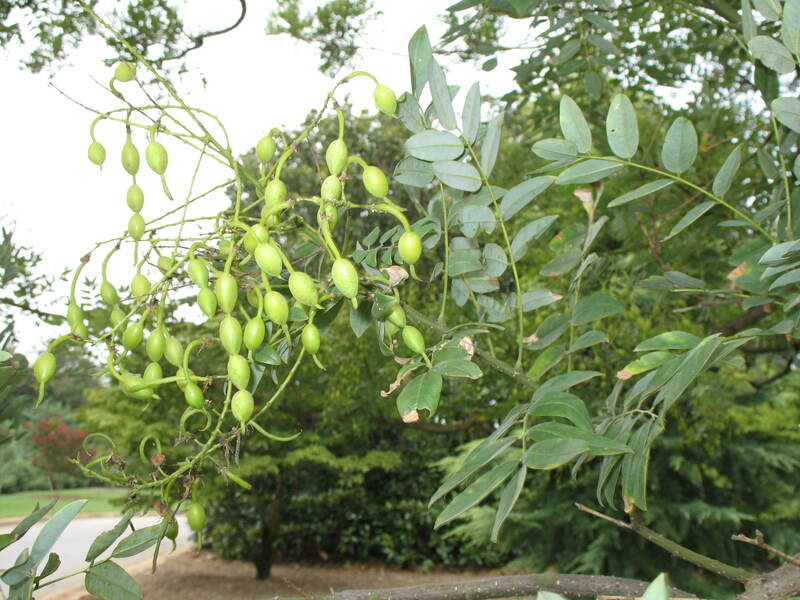 The summer flowers are greenish-white and seed pods show a pronounced constriction between each seed in the pod.